The UX field is booming. It seems like the number of user experience practitioners has doubled in the last year — from newbies who’ve just entered the workforce, to mid-career changes, to folks who’ve been doing this all along but finally found out what to call themselves. It’s incredibly reassuring to finally see a long overdue interest in user experience practice; after all, that’s what many of us have spent our careers fighting for. I started this blog to give greater insight into how we think, how we work, and how we benefit customers and companies alike. I consider myself lucky to be among many professionals who speak at conferences around the world in an effort to bring UX into the mainstream. And it’s working! There’s just one problem: not everyone calling themselves a user experience designer is actually a user experience designer. Unfortunately the designation isn’t as clear cut as a doctor or a lawyer. Most professions are certified and regulated, so you don’t see impostor behavior often — and when you do, it’s typically in the form of a news article about someone going to jail for fraud. Perhaps more analogously, even those in non-regulated occupations like writers and programmers would have a hard time passing themselves off as such without actually writing or actually programming. But how does a user experience designer demonstrate their user experience designing? I’m not talking about quality or level of expertise here; I’m merely referring to the veracity, the legitimacy of the title itself. Regardless of what they choose to call themselves, how can you identify someone who isn’t actually practicing UX at all, who’s only hitching their wagon to a rising star? You don’t talk to users. If you design entirely based on intuition without ever gathering intel from a single human being who might at some point in their life come into contact with your business, I’m sorry, but you just aren’t a user experience designer. You can’t identify your target audience. If asked who your site is intended for and you say anyone and everyone, you are wrong. If a product is designed for everyone, it works for no one. A user experience designer would know that and narrow the target. You don’t define the problem before trying to solve it. If your boss tells you what to build and you don’t start the project by first determining why — the specific pain point that people are currently experiencing that your product aims to eliminate — you’re a lackey, not a user advocate. Nine times out of ten, understanding the problem changes the solution dramatically. You can’t articulate your users’ goals. Maybe you kinda get the problem people are having, but unless you can communicate (in your own words) the objectives your target users are trying to accomplish both in their lives and their work, how can you craft a solution that will truly support their efforts? You design in a vacuum. No user experience designer works alone, so if you are, you aren’t one. Even a UX team of one relies on stakeholders, visual designers, developers, marketers, the guy in the next cubicle , etc. for feedback. A user experience designer knows the product isn’t meant for them, and always tests its effectiveness with other people. You make design decisions based on your personal preferences. If your coworker or client asks you, “Why did you choose to use checkboxes instead of radio buttons?” and your answer is, “Because I’ve always liked checkboxes better,” please dear God don’t call yourself a user experience designer. You don’t consider the business objectives. Surprise! If all you want to do is protect the consumer, join the ACLU. A true user experience designer understands their company’s goals just as deeply as they understand their constituents. That allows you to determine which of the constituency’s needs should be addressed by the product, and make a case to the powers that be how doing so will positively impact the business in the long run. You don’t use UX methods. User interviews, usability tests, personas, scenarios, card sorts, affinity diagrams, concept models, sketches, flow diagrams, sitemaps, wireframes, prototypes, web analytics, A/B tests, the list goes on and on. If you don’t have a systematic approach for articulating what you learn about your users to others on your team, or even a loose process to iterate on your ideas for what they’ll experience, you might be trying but you aren’t a user experience designer. You don’t design for conditions and edge cases. If you map out best-case scenarios and how-we-want-it user flows, but don’t take the time to craft branches and escape hatches for alternative needs, user errors, system errors and general curiosity, you don’t understand people very well and you’re not a user experience designer. You only think about the interface. If you’re focused exclusively on what the user sees and does on your website/mobile app/desktop app/kiosk/whatever, but never plan for how they’ll get there, what they’ll do when they leave, how they’ll come back, and most of all, how they’ll feel about it a week later, you’re a user interface designer, not a user experience designer. There’s a big difference. The above slide is from my presentation DIY UX: Give Your Users an Upgrade Without Calling in a Pro. So yes, I am partially to blame for this trend. But I didn’t really mean for people to start putting the title on their business cards and anointing themselves User Experience Designers without actually putting in the hard work. The point of that slide in particular is to get people to realize that no matter what their role is, if they touch the outcome of the product in any way, shape, or form (as a designer, developer, copywriter, business analyst or marketer), they are ultimately affecting the user’s experience with the product, and as such, must take responsibility for doing right by them. This means learning who they are, listening to their needs, understanding their behaviors, and getting their feedback each step of the way. Otherwise you have no right to call yourself, or let your boss call you, what you’re not. If you have the title of User Experience Designer and you want to do these things but aren’t being allowed to, don’t stand for it. Send the culprit this post if you’re feeling ballsy. Or let me know how I can help, either in the comments or via email. It’s one thing to claim to be something that you’re not just to be in vogue and make yourself more appealing to prospective employers; it’s another thing altogether to try doing the job and having roadblocks put in your way. What user experience designers do is honorable, compassionate, and valuable to businesses’ bottom line. When it’s actually practiced. I have been in this industry for over 20 years and when I started we were not called UX Designers, we were called Human Factors Engineers. My point is the field is evolving… what we call ourselves, what we do, how we do our jobs etc. I think a lot of terrific designers are being asked to do a lot of UI work that takes them into the domain of UX quite often in today’s business environment. They are talking to customers and getting feedback to iterate on design and have to take into consideration business objectives as well. All this without being trained on a lot of the methodology of a UX designer. They are being creative in eliciting feedback and using cart sorts and A/B testing without even knowing that they are employing UX methods. I think that is very cool!! I wasn’t classically trained in HCI (Human-Computer Interaction), there was no such thing as a UX degree when I was in college, but I was trained and mentored by several PhDs that were and learned all of the methodology of doing HF/UX in a classic usability lab using Datalogger software, Pathfinder analysis and running data analysis using SAS to calculate t-tests, ANOVAs, and standard deviation. In my current position, I have had to throw a lot of that traditional methodology and assessment out the window because a lot of it doesn’t work in our lean and agile world where I need feedback and information fast so my team of developers can implement the changes on my mock-ups. They could care less what the standard deviation was. We are all seeking to arrive at great solutions for our customers and companies employing whatever methods can be done in the time the business gives us, even if it isn’t always pretty. I say that what you call yourself doesn’t matter, what does is that you have a commitment to creating a product (whether hardware or software) that is takes into consideration how your end-user will interact with it. I am happy to be a part of this amazing community! I understand why UX is becoming such a huge “thing”. 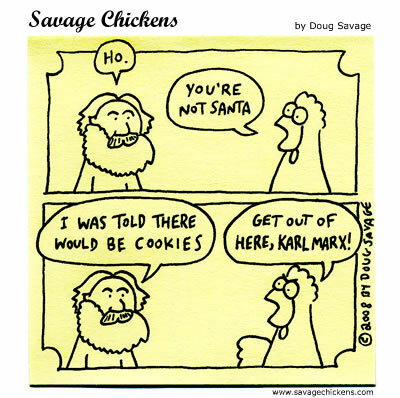 I “get” it, but just because there is a Santa, doesn’t mean I believe in him. My problem with bad UX designers is this: Bad UX designers breed more UX designers. I agree with most of the points mentioned here because very few UX designers take those points into consideration. I’m a programmer and everyday I deal with so called “UX designers”. It’s the most frustrating part of my job when “bad” UX designers tell me how to implement their “vision”! Everyone wants to be a rockstar and are constantly trying to reinvent the wheel. They have no idea why things have evolve the way it has. They have no idea what lessons have been learned and why things are “boring”. These people given “authority” over critical factors that span across various disciplines. I’ve been developing software for over 15 years and I have a fairly good idea why certain ideas would work or fail. I’m not UX person and would never call myself that but it’s really amusing when someone with less experience comes and tell me their “vision” and how I should do my job. The real problem with UX designers are that there is little accountability for the decisions they make. That is what sets them apart from other professions. I wish I could take your points, and subject them to a “You’re not a ___blank if you ___blank” treatment all around – I know many people who think they can do the UX (or any other type of designing) without taking into account the reasons why you design the way you design and do what you do! It’s a good article, not just for UX but for anyone that wants to say they are a graphic designer professional – unless you are considering your clients, their customers (or users) and getting input, feedback, and resources, stop and take a good look. :D I’m so adding this to my favourites and using it as a benchmark for myself and any other UX designer brought on board! That’s so cool to hear, CJ. And you’re right, this does have applicability to almost any profession I suppose. Being a practitioner never means having all the answers or being a magician (unless you are a magician). We all have to improve our collaboration and communication, mindfulness and compassion. Frogdog, I really appreciate your support and understand your perspective as well, but I’ve written dozens, hundreds of posts in the positive voice. This was written in the negative for emphasis, for a deeper meaning. I hope you got something out of it. Thank you. Been in this biz for 14 years and agree 100% with everything you wrote. Insight comes from experience and the longer I remain in this profession, the more I see past the rose colored glasses. Bravo! Deeply appreciate your support and agreement, Kim. It’s a jungle out there! Such an awesome awesome article and so incredibly on point. I find it rather amusing how many employers currently hiring “UX Designers” often do not understand themselves what it is exactly the UX Designer is supposed to do hehe. Definately a fancy new title that is too easily thrown around. Very late to the party, but finding this useful as I shift back into a UX role. I can’t believe the vehemence of so many replies, and I found the list fairly perfect, then I realized that it’s phrased as ‘you’re not a UXdesigner if you’re not…’, when I believe the intention is more ‘It’s not doing full UX if you’re not…’ I have rarely (in 14 years) been in a situation where I had the time and budget to do all of these, but I’ve done them all at one point or another. Otherwise, I’m loving this list and driving people to it to help them quickly understand the types of tasks and how they help to some extent…especially those who want to contract someone for two weeks to come in and ‘Do UX’ on their product, expecting one to sit down and magically know how to fix everything. Or when I’m contacted by a company which can’t understand why users still can’t use their solution after they hired a self-proclaimed ‘UI Designer’ who promised to fix everything for them and designed a pretty interface. As for arguing about someone not doing these and still succeeding, yes, I’ve seen it. I’ve seen a developer who didn’t like to listen to anyone else come in and create a beautifully usable interface and solution with very little iteration. Then watched him completely destroy his next project and refuse to iterate it after extensive complaints. So 3 years late, thanks for the post (and I’m going to hunt down the LinkedIn profile that posted this as if he had written it). CJ, really appreciate your comment and understanding of where I was coming from when I wrote it. The tone is on purpose, for emphasis, and some people loved it and others didn’t. That’s how it goes. Grateful for your support and hope it helps in some way. Hi. I love your article. Thank you for being honest and to-the-point. I’m one of the newbie UXers, and I have a question. I work at a tech solutions company where the client has the final say about what they spend money on. Many times, the client declines user research because they feel it’s a waste of money, or “they already know their target audience.” I’m sure statistical data could be effective, but I’m not quite sure how to find reputable data to back up my reasoning. Do you have any recommendations on sources to look into? Also, what process works best for you when you need to persuade a client to pay for user research? Kayley, would an architect ask for permission to walk the footprint of the property before designing the building? Sometimes you have to do the research regardless of whether it’s in the budget, because that’s what it takes to do your best work. Then when the client is blown away by your solution and they ask, “How did you do that? !” you’ll be able to show them how. I appreciated reading this post. As a senior in college looking to graduate and desiring to develop the skills to enter the UX/HCI field, this gives me an idea of the kind of things I should be looking to develop with the projects I’m working on now. Thanks! Thank you, Cody! It’s great to see you figuring out how to best develop and position yourself for your future career. I wish you all the best and hope our paths cross soon. Take good care. Useful insights as always Whitney. Amazing article… As a developer I was looking for an article which I can share with some of the user experience designers I am working with to explain the frustration I deal with when I get a design which needs to be implemented in code. This is exactly what I was looking for. Great article and for sure really useful!